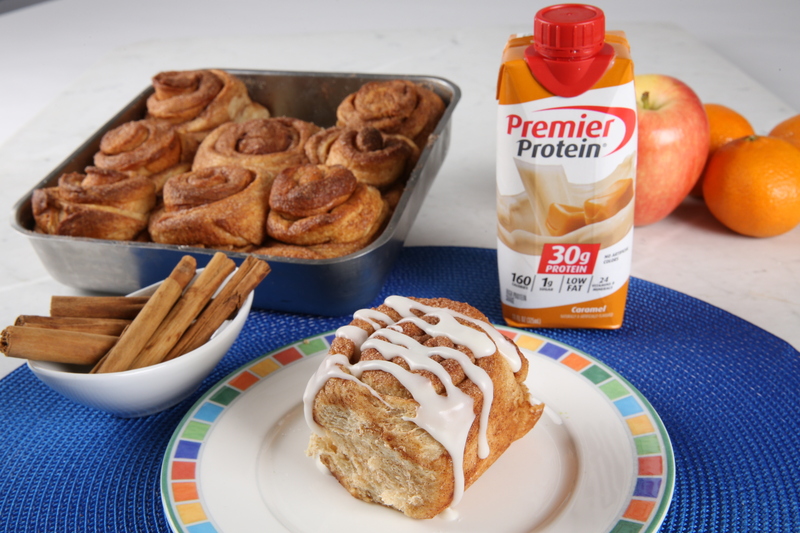 In medium bowl, sprinkle yeast over 1 cup warm Premier Protein® Caramel Shake and stir to combine. Let sit for 3 minutes. Then stir in 2 tablespoons melted butter, 1/4 cup sugar, salt, egg and mix until well until combined. Gradually add in flour, stirring after each addition. Once dough is no longer too sticky to handle, turn dough out onto a lightly floured surface. Knead for 3 to 5 minutes to make moderately soft dough. Shape dough into a ball. Place dough in lightly greased bowl; turn once. Cover and let rise in a warm place until size has doubled (about 1 hour). Punch dough down, cover and let rise again for 1 additional hour. Punch dough down. Grease an 8 x 8-inch glass or metal baking dish and set aside. 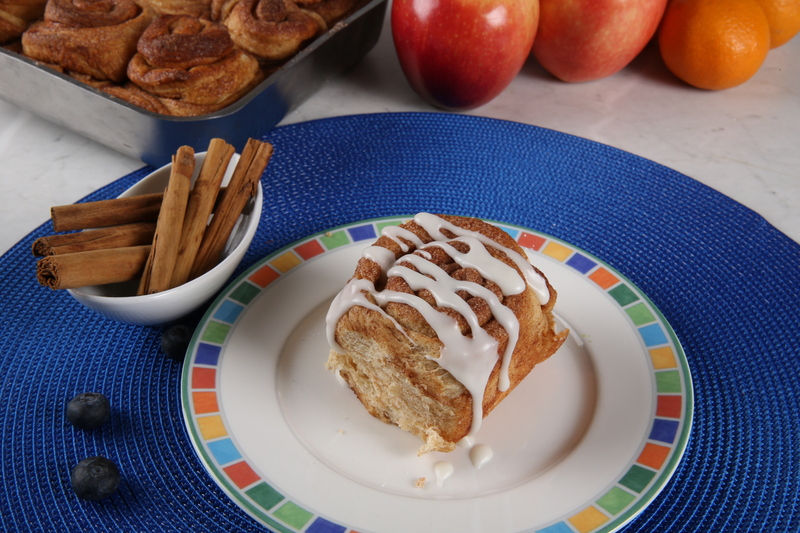 Combine 3 tablespoons sugar and cinnamon in separate bowl. On lightly floured surface roll dough into a 12 x 8-inch rectangle. Brush about 1 1/2 tablespoons of the remaining butter evenly over the dough using a pastry brush. Sprinkle 2/3 of the cinnamon sugar mixture over. Using a pizza cutter or knife, cut dough into 9 even 12-inch strips. Roll up each strip tightly, sealing the end by pressing it into the dough. Arrange rolls in prepared pan. Pour remaining butter over the buns, then sprinkle remaining cinnamon and sugar on top. Let rise, uncovered, 30 minutes. Preheat oven to 350°F. Bake rolls for 25 to 30 minutes or until lightly browned. While cooling the rolls slightly, prepare glaze. Whisk together confectioners’ sugar and Premier Protein® Caramel Shake in a small bowl until smooth. Drizzle rolls with glaze. Serve warm. This looks so yummy. I am going to have to make this for my family.